The Japanese electronics company will show off its newest gadgets during an event in Berlin. "While our B2B businesses, such as sensors, are very strong, I still believe there is a lot of potential for innovation within the consumer electronics space." "In our television business, we made a turnaround last year by significantly improving our operational efficiency and strengthening our product offerings." 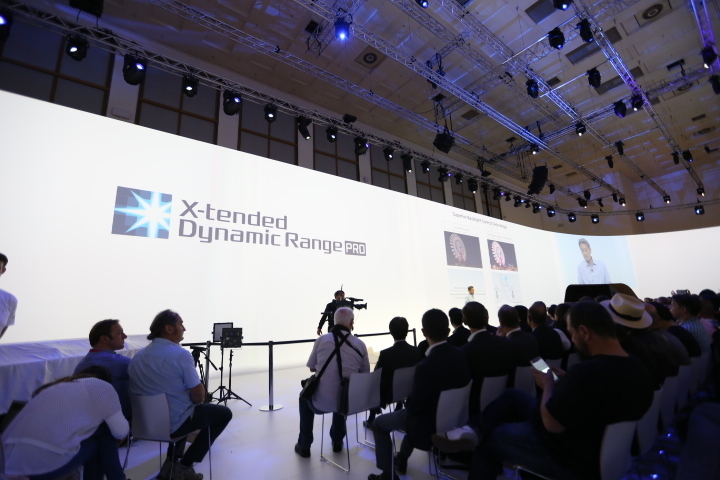 "Our new TVs have been particularly well received because of their refined design"
"The X90C Series is not just a slim TV, it also boasts a novel design and pushes envelope on picture quality." "At Sony, picture quality is never compromised, even with such a slim design. X1 processor once again advances the clarity, color accuracy and contrast of 4K viewing expereience." "It delivers stunning picture quality to any experience"
The maudlin 'we're working to do better' chat is over, it seems. We're finally talking about products, starting with TVs. Sony is a company that's betting big on 4K, rather than OLED for instance, as the Next Big Thing in television. 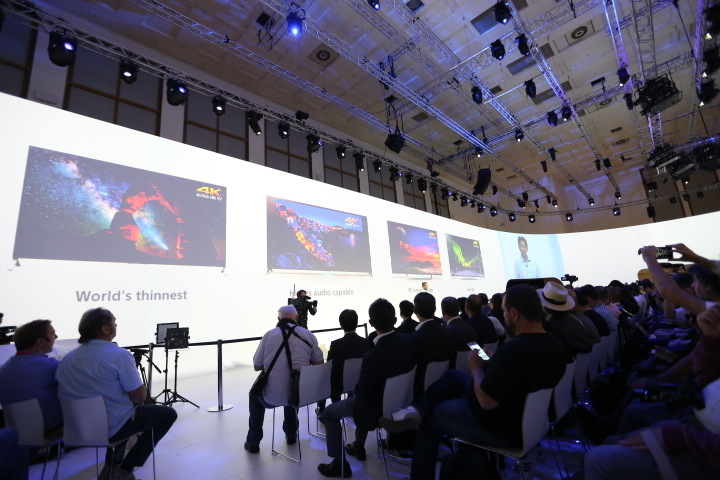 High dynamic range content, HDR, "changes the way pictures look on TV screen with wider range of contrast." "Can particularly see a contrast in dark and light areas of picture screen." "We at Sony are aggressively working with ensuring streaming video providers like Amazon to bring shows in HDR to our customers." High dynamic range will be a familiar term to many, as it's primarily used in cameras, including many smartphone cameras. It'll be interesting to see whether HDR makes a real difference in the latest crop of TVs, or whether it's just another gimmick designed to sell sets. Thoughts? 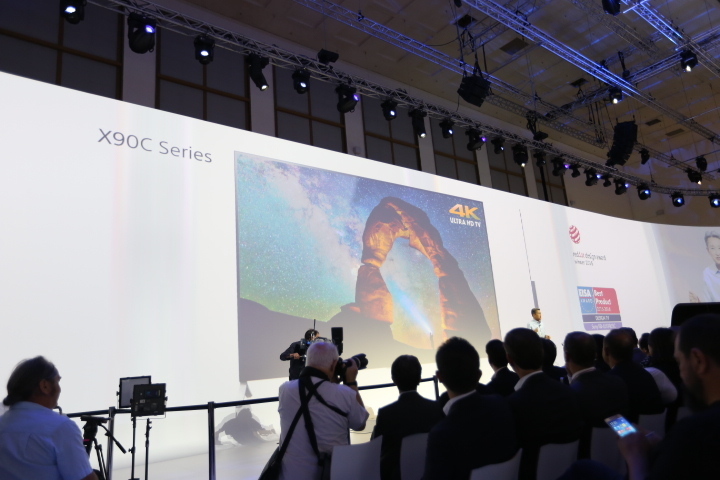 "Sony is leading the HDR industry." 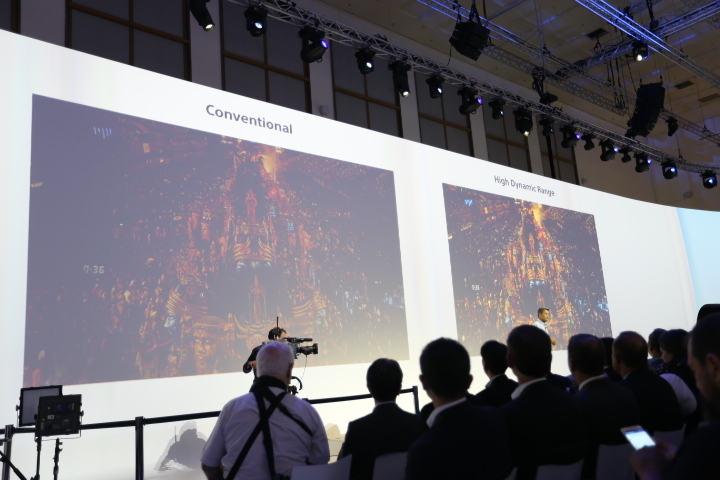 "Digital imaging has always been an area of significant innovation at Sony." "In Europe leading mirrorless camera market in total sales." "Alpha 7 Series has become the premier choice of photo enthusiasts by catering to their specific needs." 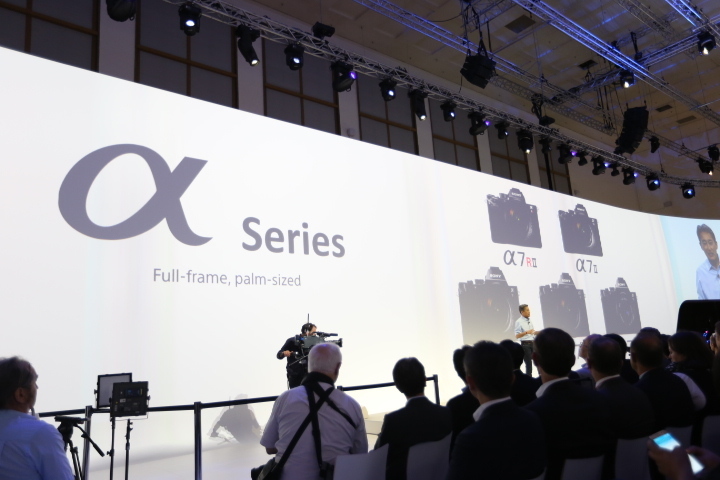 "Sony has also made a top position in the compact camera market in Europe...with the RX1 series." "In July we launched two powerful additions to our" Cybershot cameras. "Previously such super slow motion has only been available in a select few professional quality cameras. But now all of you can literally control time." We're getting some lovely slow-motion shots of water balloons exploding, apples getting shot and birds taking flight. 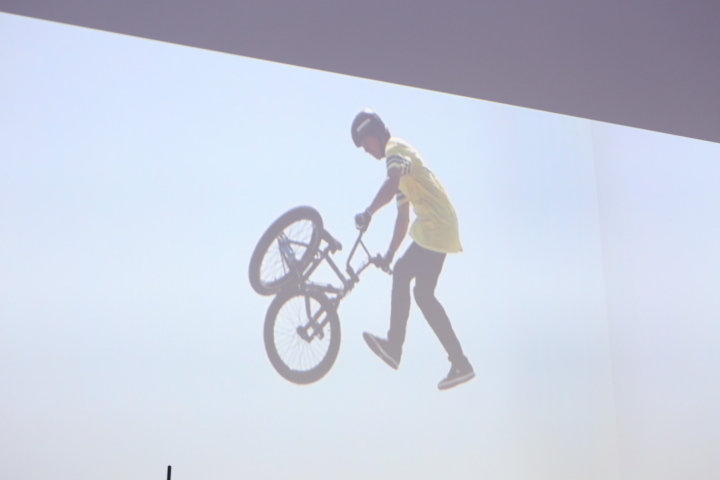 Hey Sony, can we please just watch super slo-mo vids for the rest of the conference? thx. "Furthermore, the RX100 Mark 4 and RX10 Mark 2 feature a super high-speed shutter with speed of 1/32,000 of a second." "These cameras also reduce distortion." Sony's bigging up its cameras slow motion and depth-of-field capabilities -- they're clearly on top of current photography trends! Now we just need an Instagram mode. "Photographers will no longer have to choose between high resolution and high sensitivity." 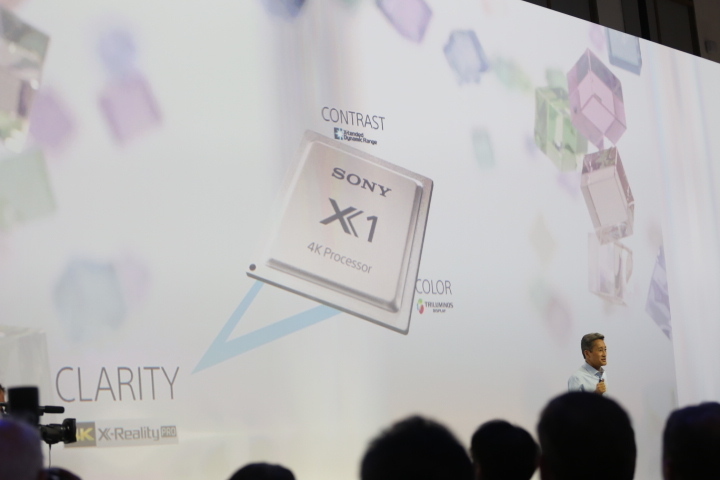 We're getting some more technical talk on Sony's CMOS sensor. "Free you from your tripod when shooting in low light...or when shooting closeups." For the record, everything Hirai has mentioned so far is "old news." All covered previously here on CNET. 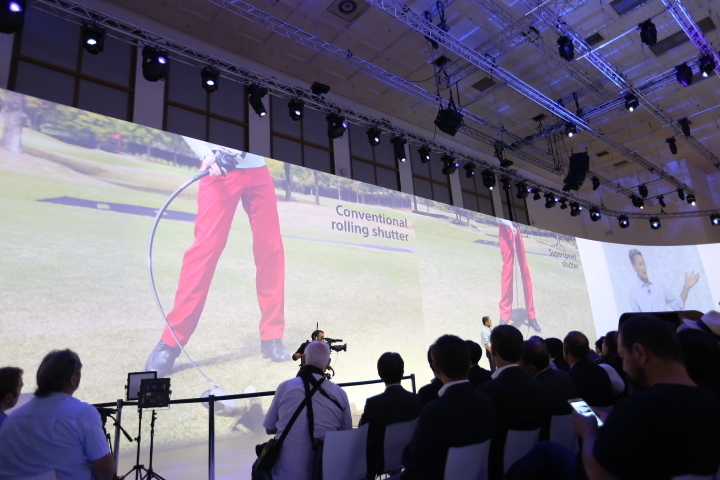 Sony's not holding back on the jargon when it comes to camera tech -- I'm seeing a few puzzled looks around the room. 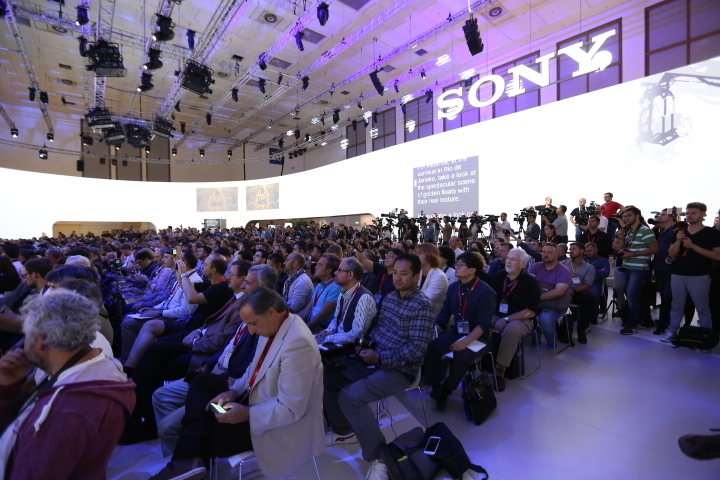 "While Sony cameras continue to attract attention and accolades Sony has continued to innovate in advanced image sensors." "Many popular brands, as you know, have Sony sensors inside their smartphones and also their digital imaging devices."